Variety is the spice of life, and so proves a cocktail. Usually featuring a splash of colours and flavours, cocktails are made by combining different flavoured drinks (with or without alcohol) to make one peppy glassful. 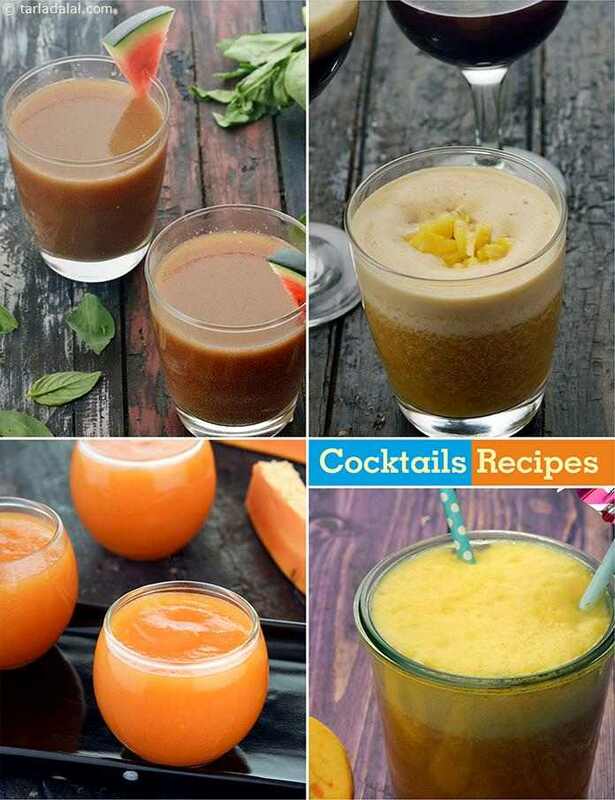 Try some refreshing alcohol-free options like the Peach Pina Colada , Papaya Passion and Guava Punch for parties or a get together. It surely will be a differnt cocktsil thsn the ususl ones that are served. Siders like the Aloo Cheese Croquettes or the Broccoli and Cheese Balls or the Cheese Poppers go well with these cocktails and are sure to delight the guest. For a nonalcoholic peach fizz, substitute club soda for the sparkling wine. Pineapple Cocktail, it is an associated with a unique combination of pineapple and wine. Put in a cocktail glass and eat!! !